Egyptologists, art historians, philologists, and anthropological archaeologists have long worked side by side in Egypt, but they often fail to understand one another's approaches. 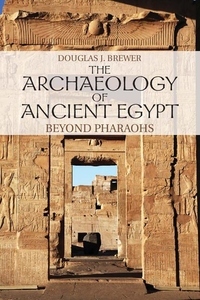 This book aims to introduce students to the archaeological side of the study of ancient Egypt and to bridge the gap between disciplines by explaining how archaeologists tackle a variety of problems. Douglas J. Brewer introduces the theoretical reasoning for each approach, as well as the methods and techniques applied to support it. This book is essential reading for any student considering further study of ancient Egypt.